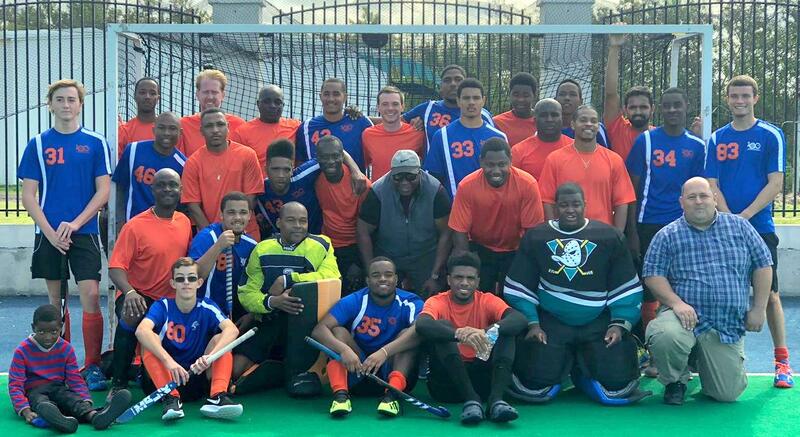 History was made as the National Sports Center hosted the first North East Field Hockey Association (NEFHA) 2018-2019 Men's League match in Bermuda. The Bermuda Hockey Academy Islanders did not disappoint the home crowd picking up a 4 – 3 win. Bermuda took the lead in the 3rd minute when Jude Mosely scored from a Field Goal, but three minutes later the score was level at 1 – 1 when Darlo Clement scored from a Penalty Corner for the New York Islanders. Bermuda would go back in front in the 11th minute when Mosely scored his second Field Goal of the game, but yet again the New York Islanders would be level in the game this time in the 29th minute when Leroy Mayers scored from a Penalty Corner. Bermuda would take their third lead of the game in the 58th minute when Captain Donovan Simmons scored from a Penalty Corner, but three minutes later the score was level yet again with Noel Samu scoring from a Penalty Corner for the New York Islanders. The Bermuda winner came with just 30 seconds remaining on the clock as Nigel Deane found the back of the net sending the local team and their fans into wild celebrations.